Just like the one Grandma had with a twist, this shabby chic inspired pink vintage 5 Cup flour sifter would be perfect in your country cottage kitchen. 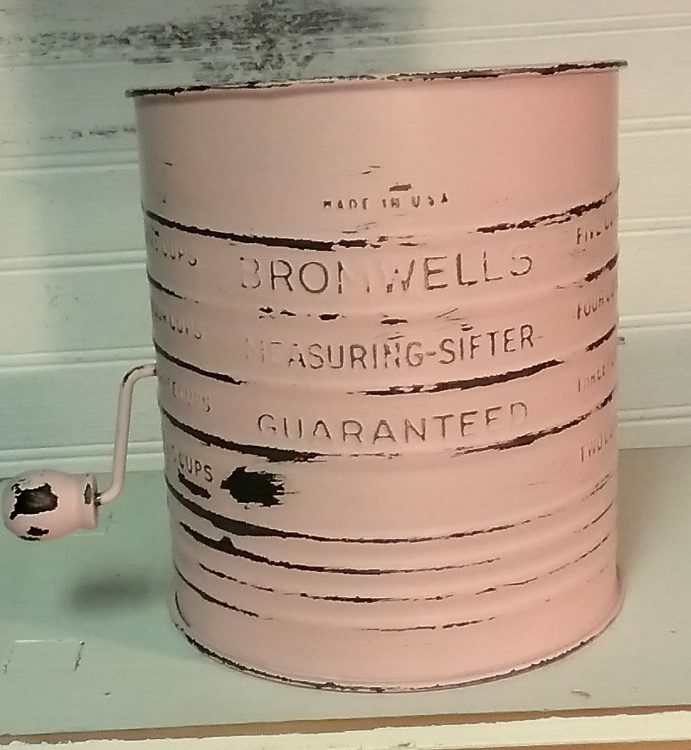 It has been painted a soft petal pink and distressed to bring out the details. Display it on a shelf in your kitchen and remember the good old days when everything from the kitchen was homemade. 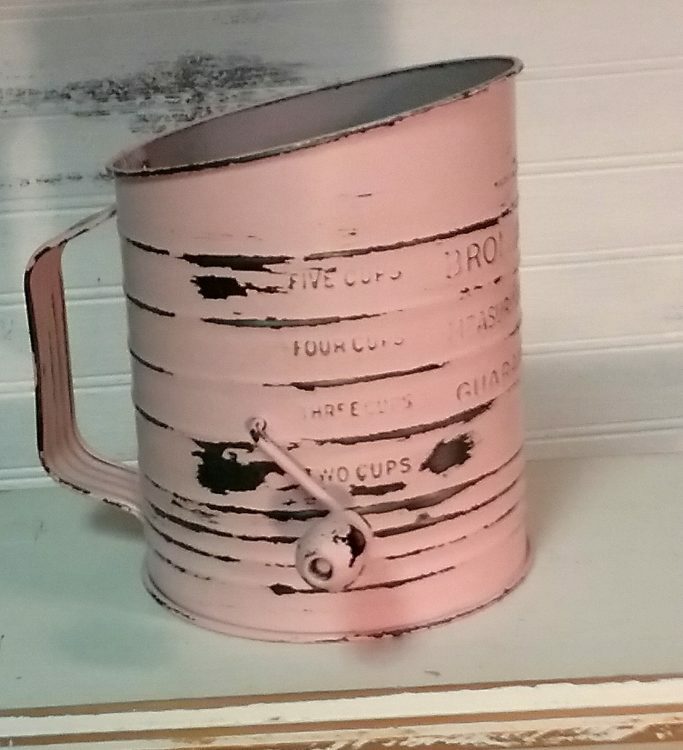 This pink flour sifter measures 6 1/2″ Tall. 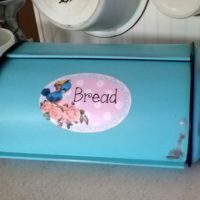 Decorative use only. Not food safe due to the painted surface.